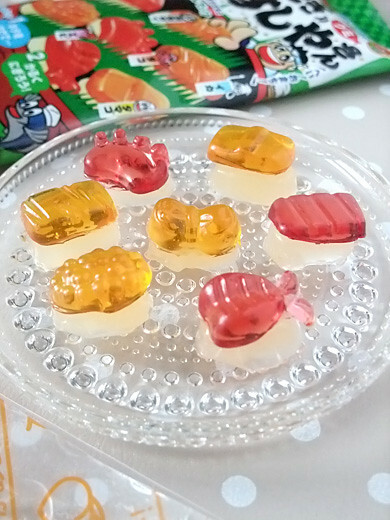 Not bears or worms, this is sushi shaped gummi candies. 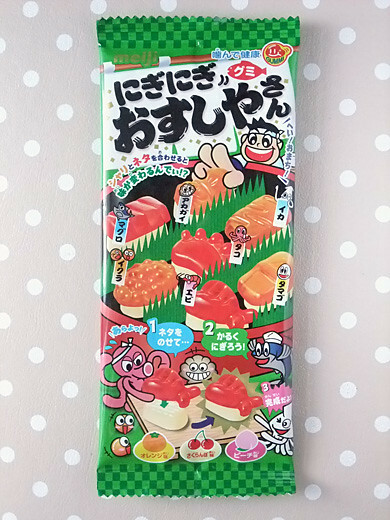 All of these are in the plastic mold, take rice (peach flavor) and materials (cherry and orange flavors) off, and make sushi by yourself. 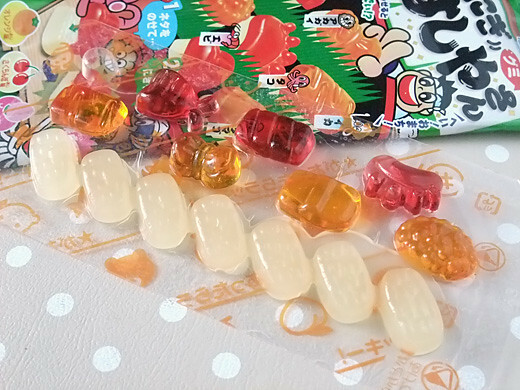 It’s really weird but cute and not so bad!